There are so many components to a successful trade show display. From the initial design and creation to shipping and installation to storage and event management, E&E Exhibit Solutions takes care of all of your trade show booth needs. 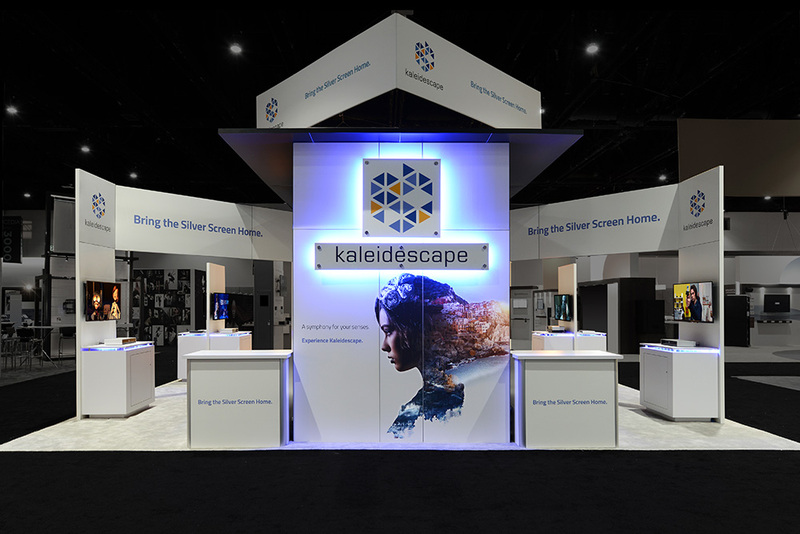 From efficient pop-up displays to large custom exhibits – and everything in between – E&E Exhibit Solutions offers a right-fit solution for your next trade show or event. The highly trained and experienced exhibit consultants at E&E Exhibit Solutions take you through the entire process, helping you create the perfect trade show display for your marketing needs. Customized trade show display solutions for your event or trade show for purchase or booth rentals in authorized states. We offer custom portable trade show displays in all sizes including pop up trade show displays, 10×10 trade show displays, 10×20 displays for trade shows, island displays and accessories to meet your exhibit booth design requirements. Extensive trade show display rental inventory that is easily customized to meet specific and unique requirements. This may be your first trade show and a booth rental may be your best option. Perhaps you have two or more events or trade shows at once with limited properties at hand. Our trade show displays professionals provide expert consultation for the best portable display rental solution for your company. Eye-catching exhibit and trade show graphic design as an extension of your marketing department. 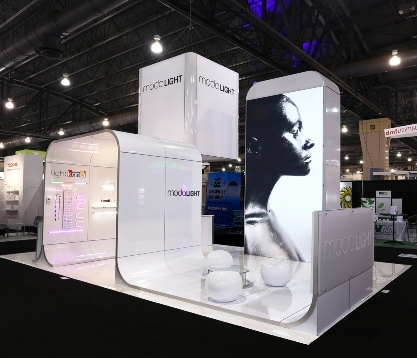 We know how to create portable trade show booth and graphic designs that work! Our experienced staff will work with you and your company’s particular requirements to create a perfect trade show exhibit design that will be unique and noticeable for your next show. Let us be a part of your trade show display design team. We produce in-house large format graphics for your custom portable exhibits or custom modular displays. We have an extensive digital graphic production facility with experienced professionals trained in large format output to meet your trade show display graphic requirements. E&E Exhibit Solutions is a Chromatix Trained Digital Printer provider, capable of matching your company’s marketing collateral and branding materials. Our trade show display graphic production team are experts in producing high quality trade show display graphics for your display booth or trade show rental solution. Lightweight, flexible and versatile styles that can be scaled to meet the differing needs of each event or trade show. See our fabric pop-up displays. Build up your 10×10 trade show display or utilize your 10×20 custom portable booth for two separate 10×10 display events. Either way, the compact lightweight custom portable displays fit into smaller cases for affordable shipping. Double deck exhibits, large towers, hanging signs, conference rooms, product and material storage areas, casual seating, retail display kiosks, theatre presentation areas and more. Custom features can be designed into your trade show displays or booth rentals. We help design effective traffic flow through your island displays to ensure each attendee who enters your trade show display booth is engaged by your staff. Trade show displays for corporate events. If you need structure for your corporate events, outdoor, private events and meetings, custom portable displays or component-based displays are the perfect solution to reinforce your brand message. Banner stands, retail display kiosks, in-house produced digital graphics for maximum quality control, logistic services managed by our professional event consultants are an effective way to host successful events. Logistical services: packing, shipping, installation & dismantle labor and storage in our climate controlled warehouse. We can transport your trade show displays anywhere in the world. We have trained professionals nationwide for trade show display installation and dismantle services. Storage clients have access to secure Event Management Software to track trade show display parts and schedules. E&E Exhibits is a full-service trade show display company that designs and build trade show displays and trade show exhibits. We have trade show displays for rent or purchase.As a premier trade show display company, our professionals, consultants and experts provide complete solutions for trade show displays, events and environments. You only have one chance to make a first impression. E&E Exhibit Solutions listens to your needs, understands your goals and then builds trade show displays that allow your company brand and marketing message to stand out from the competition. We offer custom portable trade show displays, custom trade show displays, modular trade show displays in a variety of styles and configurations and trade show accessories—like furniture, hanging signs, flooring and pop-up trade show displays—that provide an effective and efficient exhibit environment. All of our trade show displays are made of the highest quality materials and include sturdy cases that protect your investment. Check out our complete line of green trade show displays, as well as an entire collection of trade show display rentals and accessories. Trade show displays are not just for the convention hall. E&E Exhibit Solutions offers a variety of portable trade show displays that are easy-to-install and communicate your company marketing message indoors and out. Use a pop-up trade show displays or banner stand trade show displays to showcase your company logo on stage at a speaking event or direct traffic in a hospital, educational venue or at a sporting event. Our portable trade show displays allow you to change the trade show graphics depending on the event. Mix and match the trade show displays and accessories depending on the size and needs of each event. 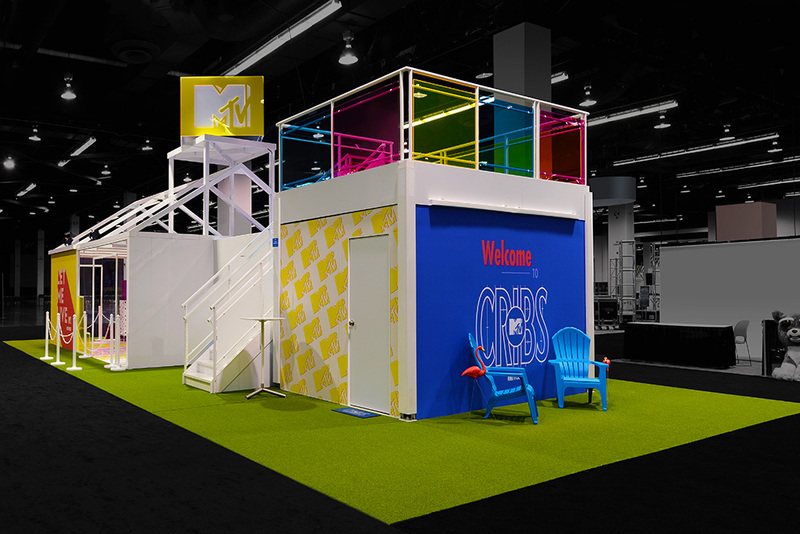 View our exhibit ideas that showcase trade show displays for any event. 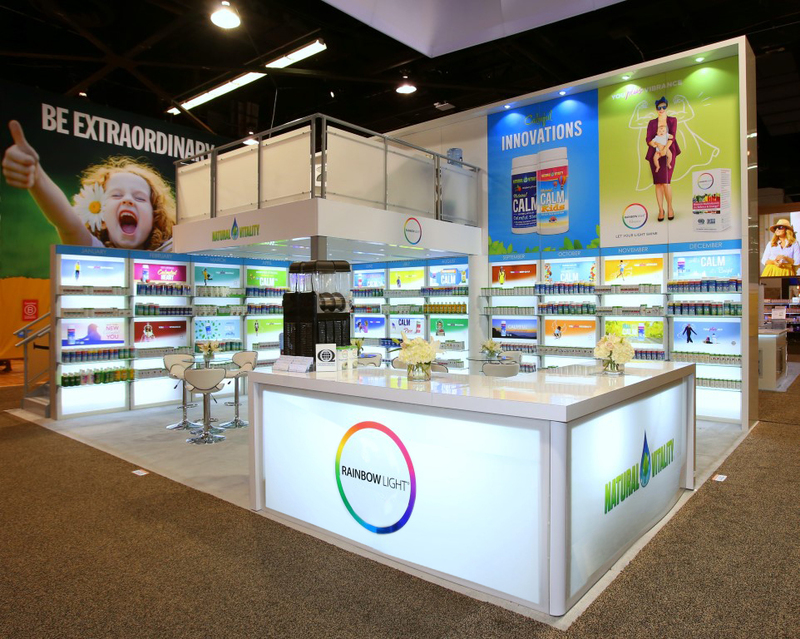 Order eye-popping trade show displays and graphics from E&E Exhibit Solutions. Our trade show displays are perfect for your lobby, showroom, convention hall or retail space. We will custom design the perfect trade show displays for your business, hospital, educational facility, dealership or show floor.Select from a variety of trade show displays including: banner stands, exhibit displays, literature holders, trade show kiosks, trade show counters and retail POP displays for trade shows. Founded in 1995, E&E Exhibit Solutions has the best trade show displays at affordable prices and our trade show display company has expertise in portable trade show displays, modular trade show displays for rent or purchase. As a premier trade show display company, we are professionals, consultants and experts in everything trade show. 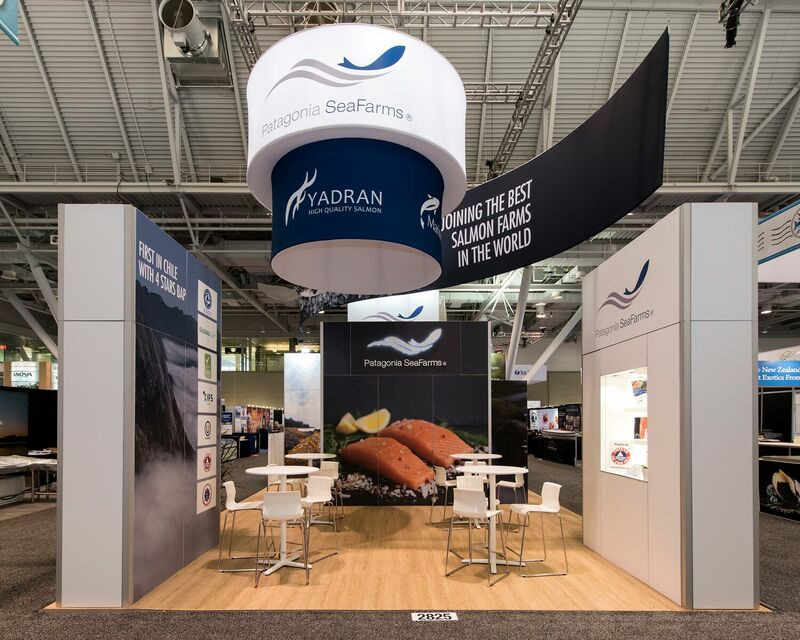 We provide complete solutions for trade show displays, exhibits, events and environments. If you have more questions about the trade show displays, Check out our comprehensive trade show displays FAQ page or call us at: 480-966-9873 or toll-free at: 800-709-6935. Founded in 1995, E&E Exhibit Solutions an Arizona trade show display company with expertise in portable trade show displays, 10×10 trade show displays, 10×20 trade show displays, pull-up banner stands and roll-up banners. An Inc. 5000 trade show company provides award-winning exhibit solutions, booth designs, custom island displays, custom exhibit rentals, trade show graphics, shipping, booth installation and exhibit storage.